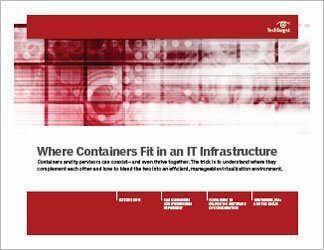 Virtualization containers are being seen as an alternative to traditional virtualization methods. Containerization, in fact, seems destined to become one of the more popular types of virtualization, but few would argue that the container can replace the hypervisor. 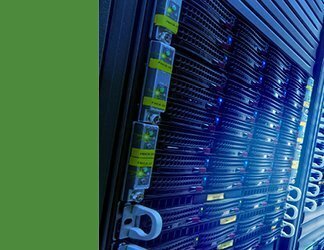 Too often, the discussion turns to containers vs. hypervisors. 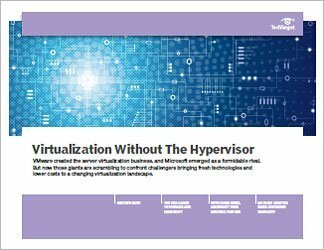 It's more likely that containers will be deployed alongside hypervisors, allowing an IT organization to capitalize on the strengths of each. Virtualization containers work well for applications that need quick deployment and scalability (as with microservices and cloud-based apps), but bigger, monolithic apps prefer to remain big and monolithic. For certain tasks, containerization is a good -- and sometimes better -- alternative to the hypervisor. Containers use resources more efficiently, and don't require a separate operating system for each application. Because of their smaller sizes, container instances are easier to move. Still, containers can't do everything the hypervisor can, and containerization is not an easy skill to master -- even for seasoned professionals. IT teams are no doubt curious about container technology, which has become one of tech's most buzzed-about topics. 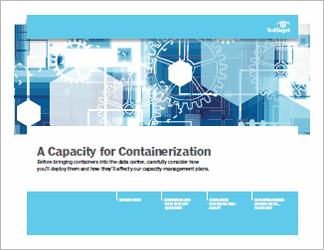 Many organizations, however, are happy with their existing virtualization infrastructure and will want to see clear justification for bringing containers into the mix. The question then becomes: How do containers and hypervisors coexist? Can containers and hypervisors be friends?